Length: 4 DVDs 60 Minute each aprox. 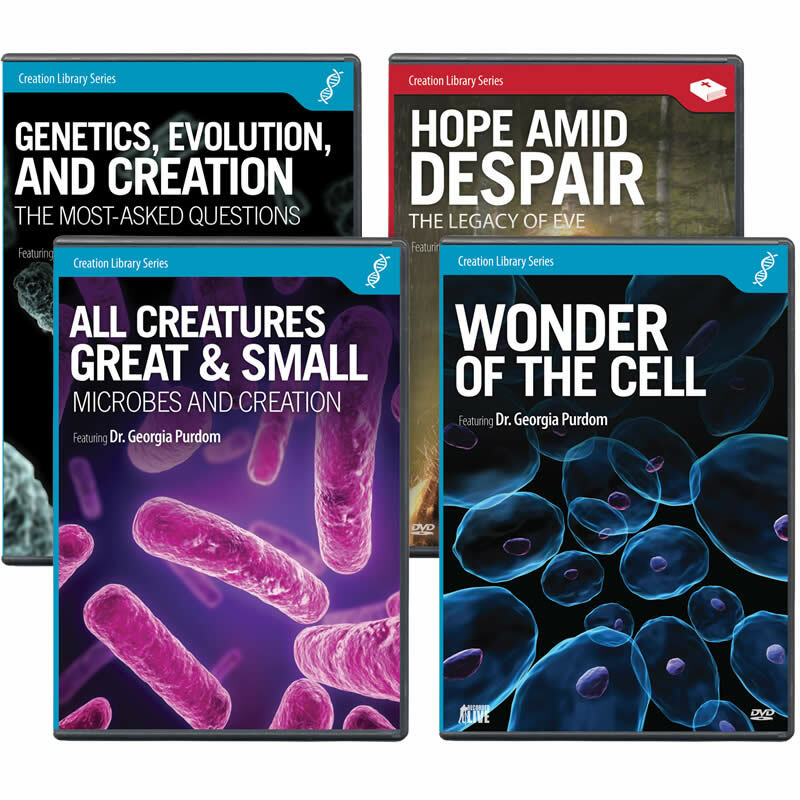 This set from Dr. Georgia Purdom answers a broad range of questions found in four great DVDs! 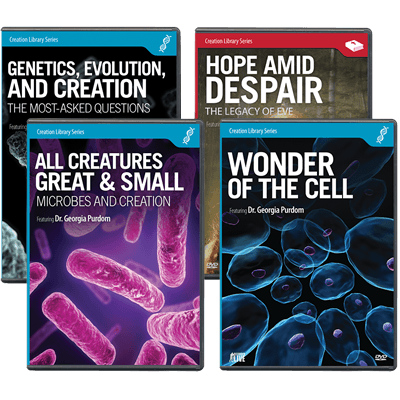 Dr. Georgia Purdom uses her intimate knowledge of the inner workings of a cell to provide you a glimpse of its amazing complexity. Detailed computer animations show how the intricate machinery working in a single cell can only be explained as the handiwork of a Master Designer.